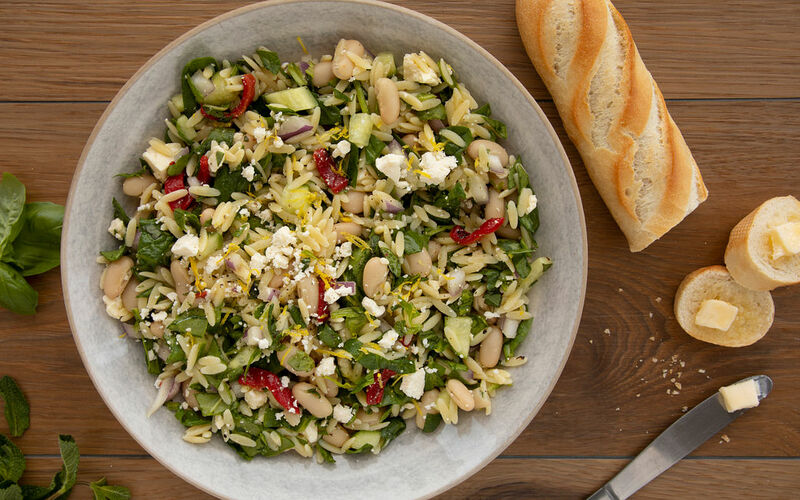 Freshen your evenings with our orzo salad, packed with aromatic basil, tangy feta and a sweet homemade sauce! Bring a pot of salted water to a boil over medium-high heat. 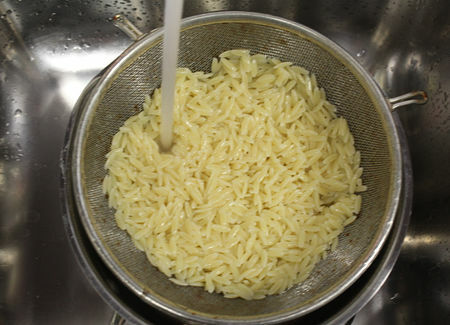 Add pasta and cook for 7-10 minutes, stirring from time to time until pasta is cooked (al dente). Drain and rinse with cold water. Dice the red onion. Cube the cucumber. 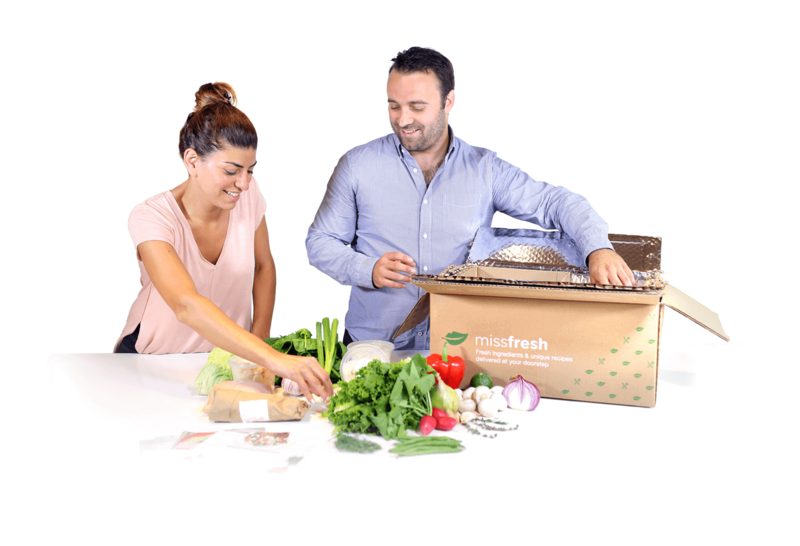 Chop mint, basil and spinach. Slice the roasted red pepper. Crumble the feta. Rinse and drain the white beans. Zest and juice the lemon. 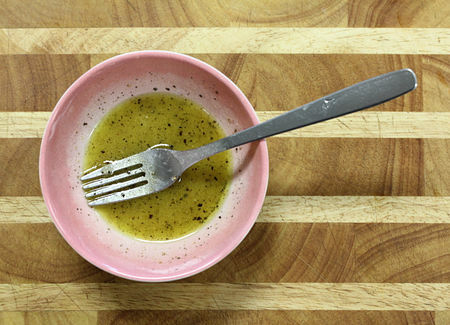 In a small bowl, mix the olive oil, the lemon juice, the dijon, the spices, the honey and some black pepper to taste. 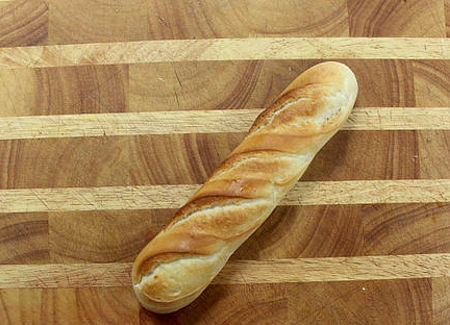 Put the bread in the oven and toast it, about 5 minutes, until golden. 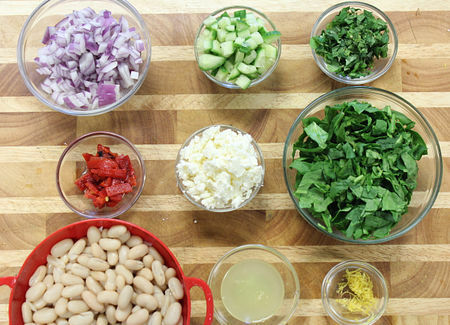 Make the salad Put the pasta, veggies, herbs and beans in a bowl and mix well. Add the dressing and feta. 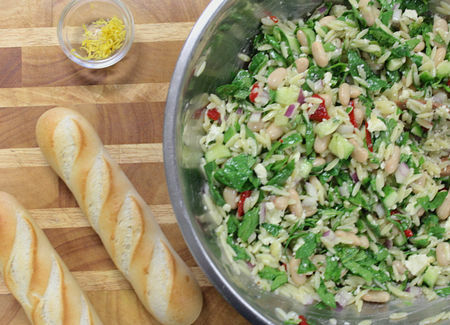 Serve the salad with a side of bread and butter. 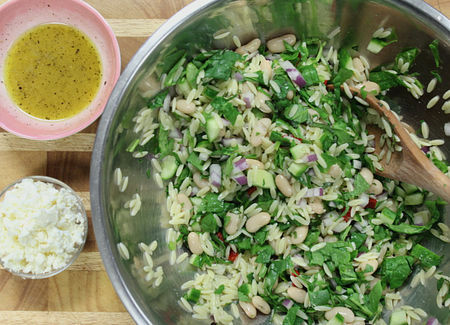 Garnish the salad with lemon zest.